Why use a service like Hop Shop Go? It can be difficult and frustrating for international consumers to buy US-made products that have not yet been released in their countries, which blocks access to all the best tech, fashion, beauty, and other products the US has to offer. Services like Hop Shop Go offer a legitimate way for consumers to get any of those items, regardless of the release date for their country. Though these sites, like Hop Shop Go, are legitimate and available ways to get products from the US, parcel forwarding services may not be the right choice for those looking for a hands-on personal shopping assistance, easy ordering system, and speedy delivery. 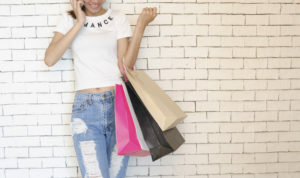 If you're a shopper looking for this kind of service, an online shopping concierge service like Big Apple Buddy is your best bet for a Hop Shop Go alternative. 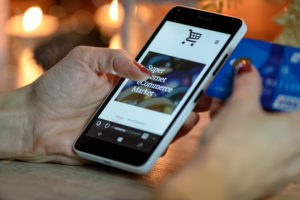 By giving consumers a temporary US mailing address to ship products to before shipping them home, the companies facilitate online ordering but offer little customer assistance. Parcel forwarding companies like Hop Shop Go can also charge hidden service fees, and can be difficult to use for return or exchange services. All the purchasing, ordering, and shipping details have to be done by the customers themselves. Obviously, this kind of online shopping service may not be right for those looking to make their purchasing experience quick and easy. A great Hop Shop Go alternative would be an online shopping concierge service like Big Apple Buddy, where the shopping is done by your own personal shopper, and the whole order is placed, consolidated, and shipped to your front door with no effort from you. International shoppers looking for helpful customer service, personalized correspondence, and hassle-free shopping should steer clear of parcel forwarders. Learn more about why Big Apple Buddy works for so many customers on our How it Works page! We offer international shipping to over 110 countries including Australia, Austria, Azerbaijan, Bahrain, Belgium, British Virgin Islands, Brunei, Bulgaria, Canada, Chile, Costa Rica, Croatia, Czech Republic, Denmark, Estonia, Fiji, Finland, France, French Polynesia, Germany, Gibraltar, Greece, Greenland, Hong Kong, Hungary, Iceland, Indonesia, Ireland, Israel, Italy, Japan, Jordan, Kuwait, Latvia, Liechtenstein, Lithuania, Luxembourg, Macau, Malaysia, Maldives, Malta, Marshall Islands, Mauritius, Monaco, the Netherlands, Netherland Antilles, New Zealand, Norway, Oman, Poland, Qatar, Romania, San Marino, Saudi Arabia, Serbia and Montenegro, Seychelles, Singapore, Slovak Republic, Slovenia, Spain, South Africa, St. Lucia, Sweden, Switzerland, Taiwan, Thailand, the UAE, the UK, Vatican City, and Vietnam. If you would like to buy products from the US, simply get in touch and let us know which items you would like to order. We’ll get back to you with a free international shipping quote within 24 hours!